Refused Car Finance? No Problem! Buy Your Car From Any Dealer. We will find the best deal for you. If you have any questions or queries, our fully trained staff are here to help. Let us search for the best deals around, all based on your individual circumstances. ...we can help you find your perfect solution. Infinity is a progressive finance organisation specialising in the finance of vehicles to consumers purchased through motor dealerships throughout the UK and Northern Ireland. You’ll get your application decision within an hour. We usually only need your Driving Licence number once approved. You don’t have to pay anything for up to 45 days. Bad credit car finance is our speciality. You can choose your repayment date and the term of your loan. Drive away within 24/48 Hours. You get fixed monthly payments. We dont usually need you to provide any payslips. You can choose the car you want from the dealer you want. We organise to pay the supplying dealer direct for you. Our application process is quick, simple and straightforward. We organise a free HPI check. All customer documentation is E-sign ready so you don’t even need to visit the office. If you've ever purchased a car from a dealer, you know that choosing the car isn't the whole deal. After the car is selected, even after the final price is worked out, the bad credit car finance isn't. That's when you go in the little office and do the real negotiating.And you can bet, the better you did with the purchase price, the more the car credit is expected to pick up the slack - from your pocket. On some occasions you could even be asked for a guarantor for the car loan, particularly if you are looking for car finance and you have bad credit.. So, keep the buying and car loan separate. Get your best deal on the car, and get your best deal on the poor credit car finance. They don't have to be at the same place. 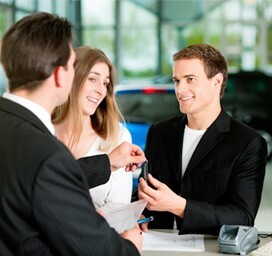 In fact, when financing is done independent of the sale of the vehicle, it's a pure finance deal, just a loan. There's no tie to the rest of 'the deal' and no flood of unneeded add-ons that find their way into the financing portion of your car buying experience. Also, you'll often do better on the rates when you do your deal away from the dealer. For a dealer to get your custom again, they have to have the car you want next time, when you want it. Most people are going to buy the vehicle that fits their needs the best, and more often than not, from a different dealer than their last sale because needs and tastes change. Poor Credit Car Finance is not a problem when getting your car loan at Infinity. You still choose the car you want to buy, from the dealer you choose. Knowing you're probably not coming back no matter how good the deal, many dealers will focus on the sale of the day, not long term customer needs. For the dealer handling the car finance, the motivation to keep you happy on the financing is similarly weak, even if you like the terms, you probably won't be back, so the focus is the deal at hand. Either way, there's less of a motivation to keep the deal good for you. However, when you get your finance independent of the dealer, there's every reason to assume that a customer who is pleased with the car loan will come back when it's time for the next car,van or bike. Our finance agreements are all written on Hire Purchase agreements. This means that the loan is only secured on the car itself. The benefit of this is that every payment you make goes towards owning the car at the end of the contract. Unlike other agreements you may be offered on the finance, Hire Purchase agreements allow you to own the car, not rent it like lease agreements do.